I'll start working on 0.3 right away as I have millions of ideas for making G.E. 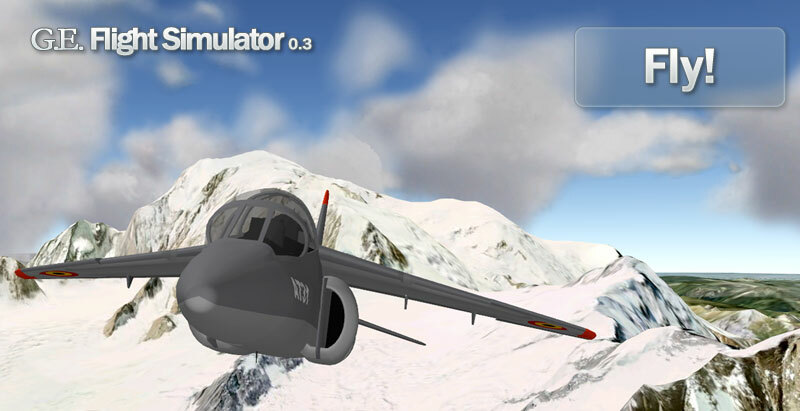 Flight Simulator even better. 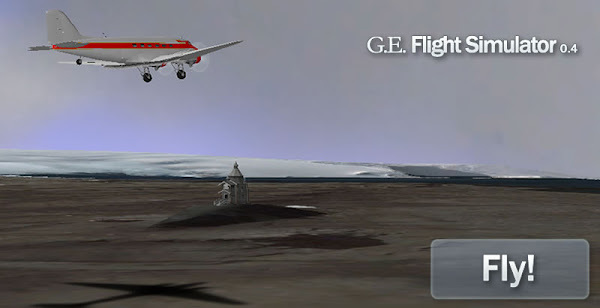 GE Flight Simulator, the beta version of a new online Flight Simulator, based on Google Earth. It's been years (6 I think) since I released the Sportstar Simulator. Overall, the game was running well and was fun to play. A lot of people enjoyed it very much: a fan even released a Youtube video of it :) Sadly, the big plans (more planes, worldwide scenery, etc.) I had in mind never came to exist, mostly due to lack of time and use of an outdated technology. 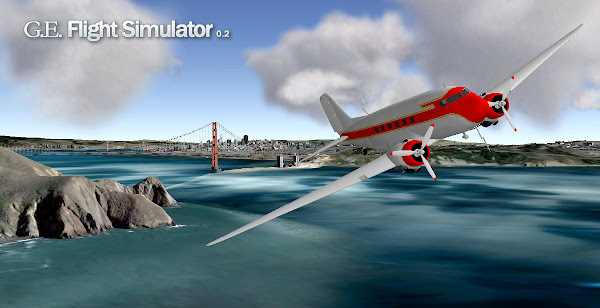 A few months ago, I stumbled upon "Ships" from PlanetInAction and realized how suitable the Google Earth plug-in would be to build a flight simulator, quickly, while enjoying the fantastic scenery it can provide. So in the free time left to me between a full-time job and new dad responsibilities, I managed to put together a beta version for people to try out. - Collisions are not right and lead to jerky behavior of the plane on the ground (especially at low frame-rate). I am working on it. - The model orientation runs into a gimbal lock situation under certain circumstances (90 degree tilt) hence the weird barrel roll the plane may do in that case. - Building collisions are not realistic. I definitely need input from users in order to improve the GE Flight Sim and aim in the right direction: let me know what you think so I can improve it in future releases. I am soon planning to open up the aircraft library to the public so people can create and add their own models. More to come on that subject in this blog.